Casual class is the name of the game when you wear the The Kooples Boyfriend Shirt in Plain Silk. Point collar. Front button closure. Long sleeves with double button closure. Shirttail hemline. 100 percent silk. Professional dry clean only. Imported. This item may ship with an attached security tag. Merchandise returned without the original security tag attached or a damaged tag may not qualify for a refund. Measurements: Length: 28 in Product measurements were taken using size MD. Please note that measurements may vary by size. 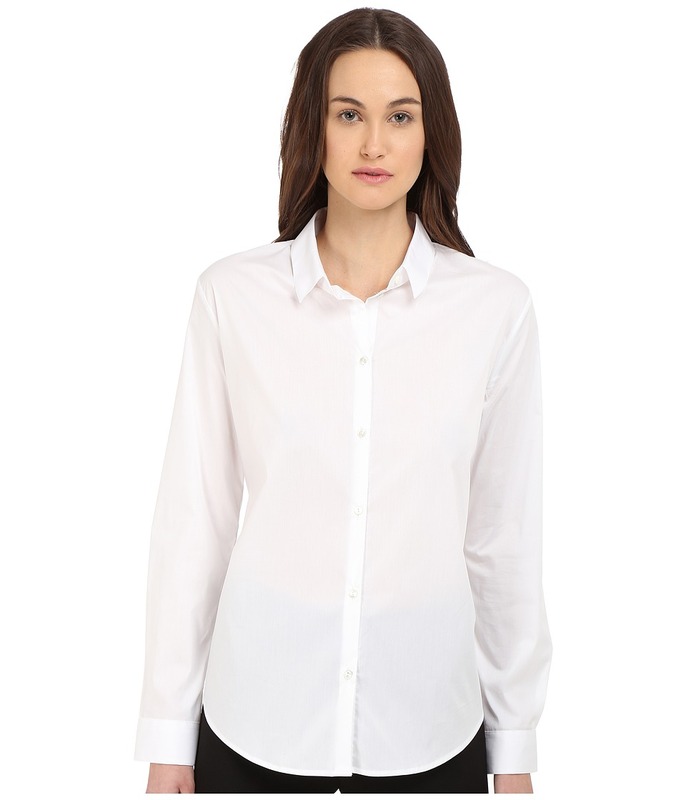 Keep your style smooth, sophisticated, and simple wearing the The Kooples Shirt in Stretch Poplin. Point collar. Long sleeves with double button cuffs. Front button-up closure. Straight back yoke. Shirttail hemline. 60 percent cotton, 35 percent polyamide, 5 percent elastane. Professional dry clean only. Imported. This item may ship with an attached security tag. Merchandise returned without the original security tag attached or a damaged tag may not qualify for a refund. Measurements: Length: 26 in Product measurements were taken using size SM. Please note that measurements may vary by size. 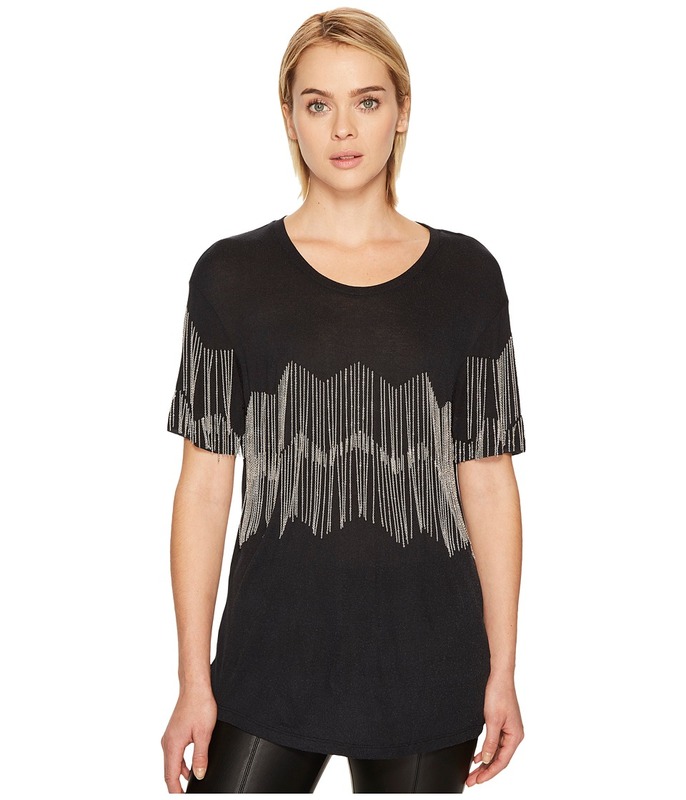 Add a new classic to your closet with The Kooples T-Shirt Basique Manche Courtes Jersey. Scoop neck. Short sleeves. Back zip closure. Straight hemline. 90 percent viscose, 10 percent silk. Hand wash cold, line dry. Imported. This item may ship with an attached security tag. Merchandise returned without the original security tag attached or a damaged tag may not qualify for a refund. Measurements: Length: 27 in Product measurements were taken using size SM. Please note that measurements may vary by size. You may mean business, but do it in elegant style wearing the The Kooples Long Sleeve Signature T-Shirt in Silk and Jersey. Open collar with zip placket. Long sleeves. Side vents. Pull-on construction. Straight hemline. 70 percent cotton, 30 percent tencel. Professional dry clean only. Imported. This item may ship with an attached security tag. Merchandise returned without the original security tag attached or a damaged tag may not qualify for a refund. Measurements: Length: 24 1 2 in Product measurements were taken using size SM. Please note that measurements may vary by size. With the The Kooples Timeless Jacket you have effortless style that traverses time. Notched lapels. Long sleeves with triple button cuffs. Single front button closure. 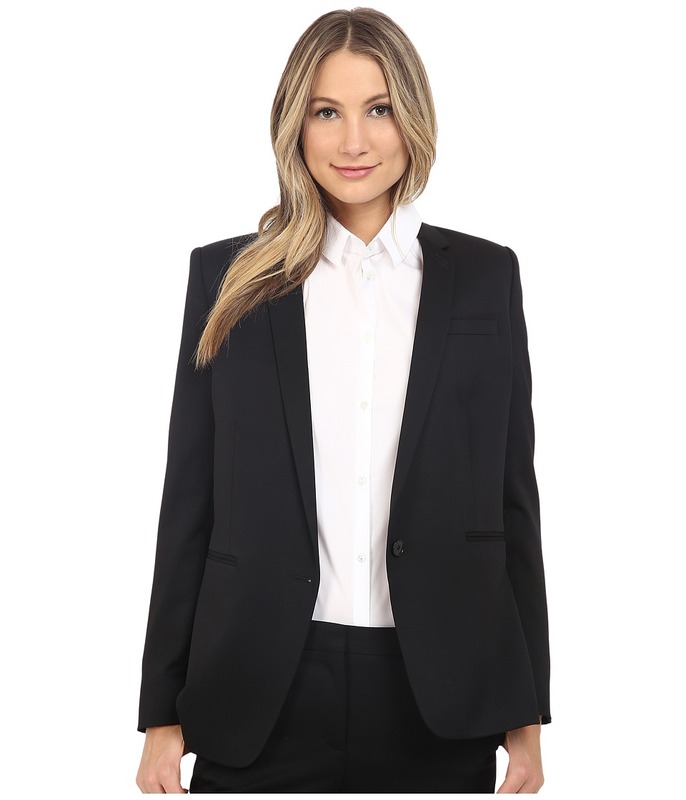 Front faux welt pockets. Rear side vents. Straight hemline. 98 percent wool, 2 percent elastane. Lining: 70 percent acetate, 30 percent polyester. Professional dry clean only. Imported. This item may ship with an attached security tag. Merchandise returned without the original security tag attached or a damaged tag may not qualify for a refund. 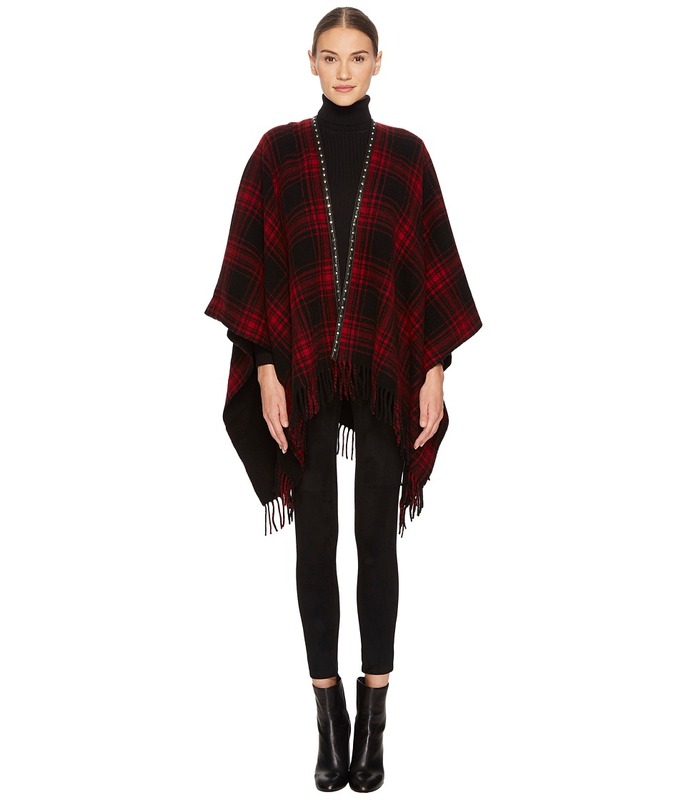 Measurements: Length: 26 in Sleeve Length: 32 1 2 in Product measurements were taken using size 38. Please note that measurements may vary by size. 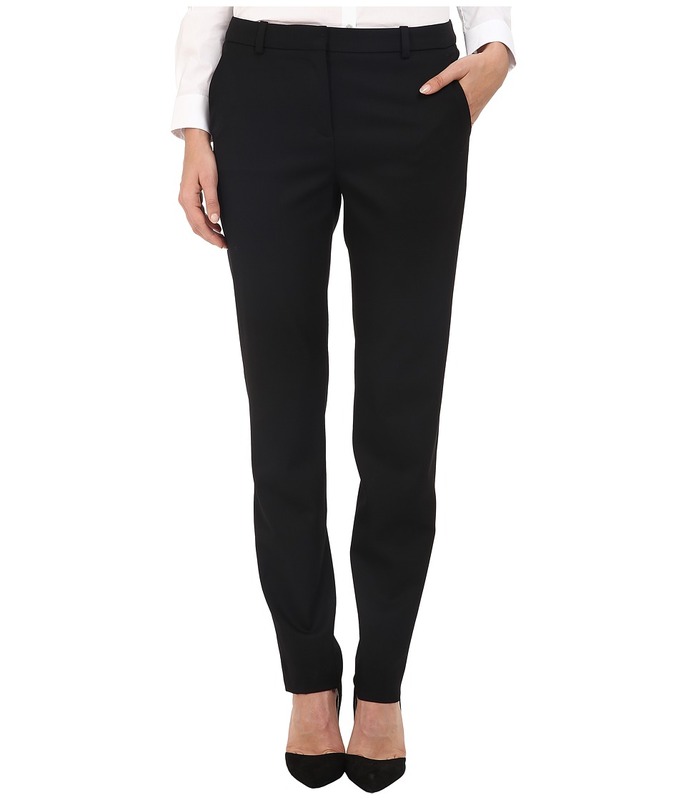 Attain the business casual look you want wearing the The Kooples Timeless Trousers. Regular fit. Belt loops. Front clasp, button, and zip closure. Side hand pockets. Faux back welt pockets. Straight hemline. 98 percent wool, 2 percent elastane. Lining: 60 percent acetone, 40 percent cupro. Professional dry clean only. Imported. This item may ship with an attached security tag. Merchandise returned without the original security tag attached or a damaged tag may not qualify for a refund. Measurements: Waist Measurement: 33 in Outseam: 40 in Inseam: 30 1 2 in Front Rise: 10 in Back Rise: 14 in Leg Opening: 14 in Product measurements were taken using size 38, inseam 28. Please note that measurements may vary by size. 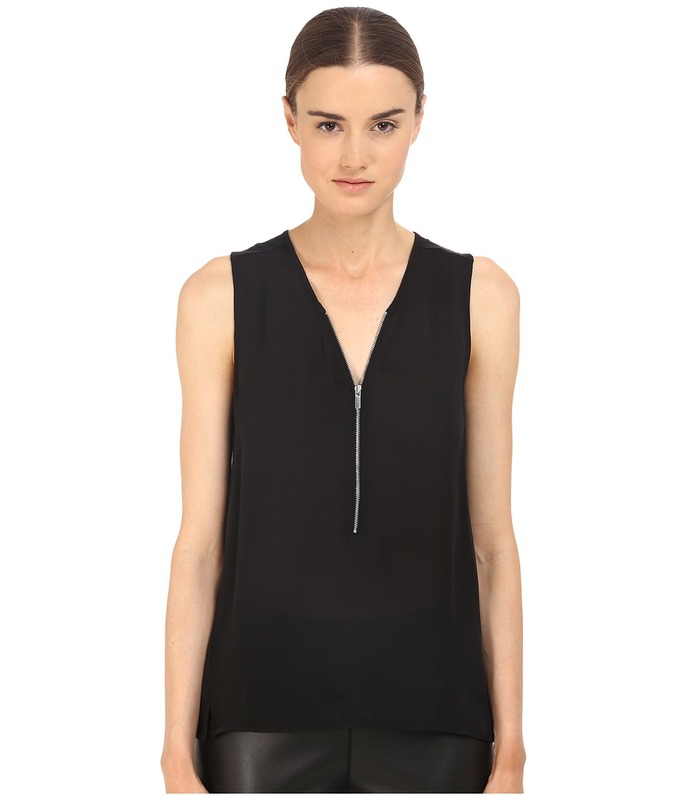 You may mean business, but do it in elegant style wearing the The Kooples Mixed Materials Woven Jersey Tank Top. Open collar with zip placket. Sleeveless. Side vents. Pull-on construction. Straight hemline. Front: 100 percent silk. Back: 70 percent tencel, 30 percent cotton. Professional dry clean only. Imported. This item may ship with an attached security tag. Merchandise returned without the original security tag attached or a damaged tag may not qualify for a refund. Measurements: Length: 25 in Product measurements were taken using size SM. Please note that measurements may vary by size. 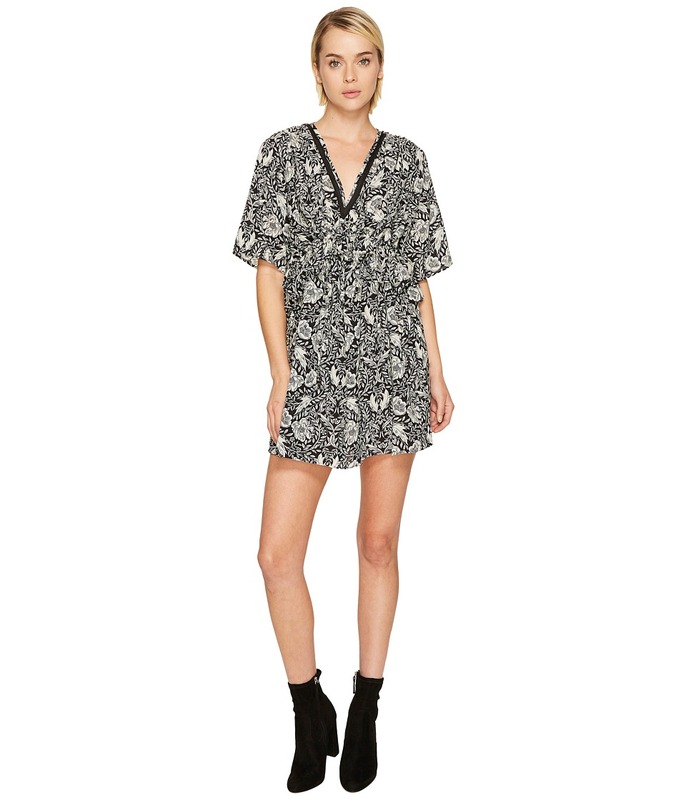 Breeze through the day wearing the The Kooples Short Sleeve Dress with Print Design, Front Zip and Waist Frills. Shift silhouette. Deep v-neck. Short sleeves. Adjustable waist ties with frill accents. Allover flower print. Straight hemline. Outershell: 100 percent polyester. Yoke: 100 percent polyamide. Hand wash cold, hang dry. Imported. This item may ship with an attached security tag. Merchandise returned without the original security tag attached or a damaged tag may not qualify for a refund. Measurements: Length: 34 in Product measurements were taken using size SM. Please note that measurements may vary by size. Point collar. Short sleeves. Front button-up closure. 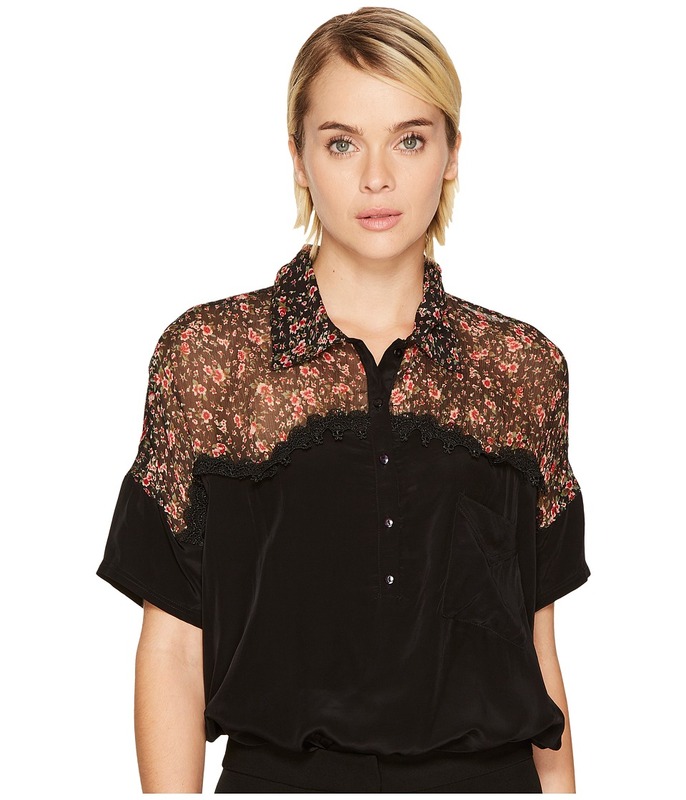 Sheer panel at neckline with floral print. Lace detail at chest and back. Front left patch pocket. High-low hemline. 100 percent viscose. Yoke: 100 percent silk. Strap: 100 percent polyester. Professional dry clean only. Imported. Prepare for a business casual style of success wearing the The Kooples Short Sleeved Bat-Style Polo Shirt. This item may ship with an attached security tag. Merchandise returned without the original security tag attached or a damaged tag may not qualify for a refund. Measurements: Length: 25 1 2 in Product measurements were taken using size SM. Please note that measurements may vary by size. Add a new classic to your closet with The Kooples T-Shirt with Chain Braid. Scoop neck. Short sleeves. Dangling metal chains at the chest and sleeves. Straight hemline. 100 percent viscose. Professional dry clean only. Imported. This item may ship with an attached security tag. Merchandise returned without the original security tag attached or a damaged tag may not qualify for a refund. Measurements: Length: 28 in Product measurements were taken using size 2 (SM). Please note that measurements may vary by size. Dress it up or dress it down! 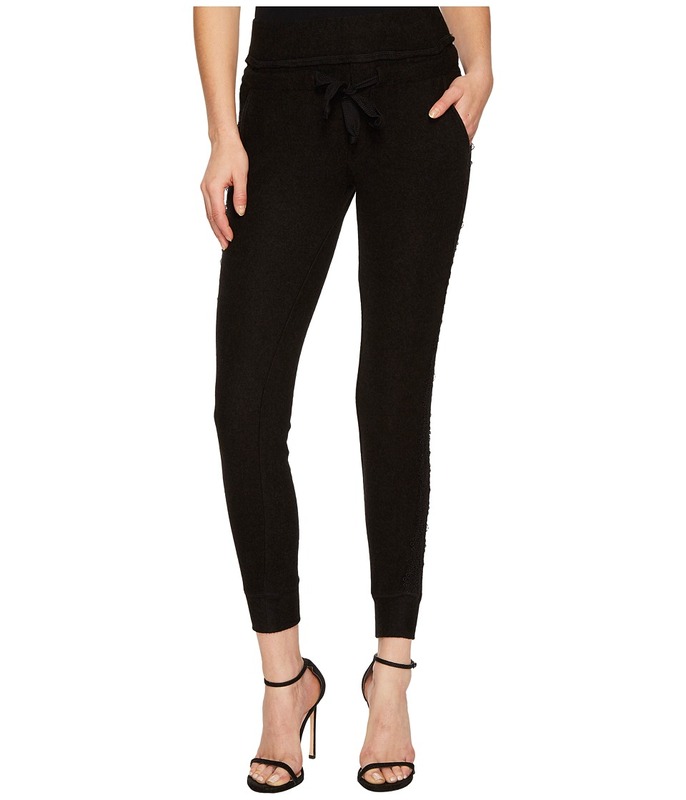 Know you have ultimate style wearing the The Kooples Fleece Trousers with Lace On The Sides. Slim fit. Stretch waist with drawstrings. Side hand pockets. 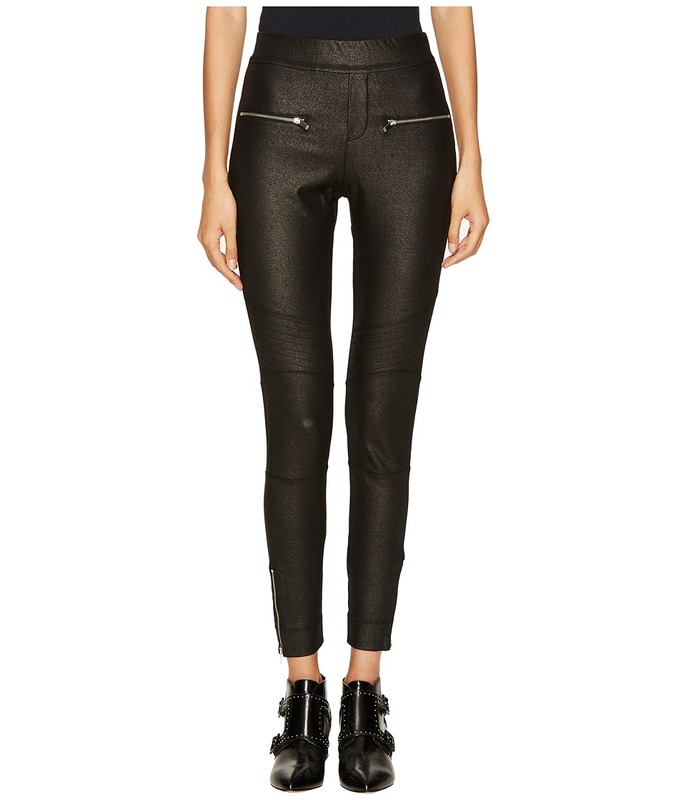 Rear faux welt pockets. Tonal lace detail at sides. Ribbed cuffs. 65 percent viscose, 31 percent cotton, 4 percent elastane. Lace: 100 percent polyester. Hand wash cold, hang dry. Imported. This item may ship with an attached security tag. Merchandise returned without the original security tag attached or a damaged tag may not qualify for a refund. Measurements: Outseam: 37 in Inseam: 29 in Front Rise: 11 in Back Rise: 14 in Leg Opening: 8 in Product measurements were taken using size 1 (SM). Please note that measurements may vary by size. Aim to be adventurous in your wardrobe wearing the The Kooples Lace Skirt with Stripes. A-line silhouette. Exposed back zip closure. Fitted waist. Allover lace design with leather trimmings. Straight hemline. 100 percent cotton. Machine wash cold, line dry in shade. Imported. This item may ship with an attached security tag. Merchandise returned without the original security tag attached or a damaged tag may not qualify for a refund. Measurements: Skirt Length: 30 in Waist Measurement: 28 in Product measurements were taken using size 38. Please note that measurements may vary by size. 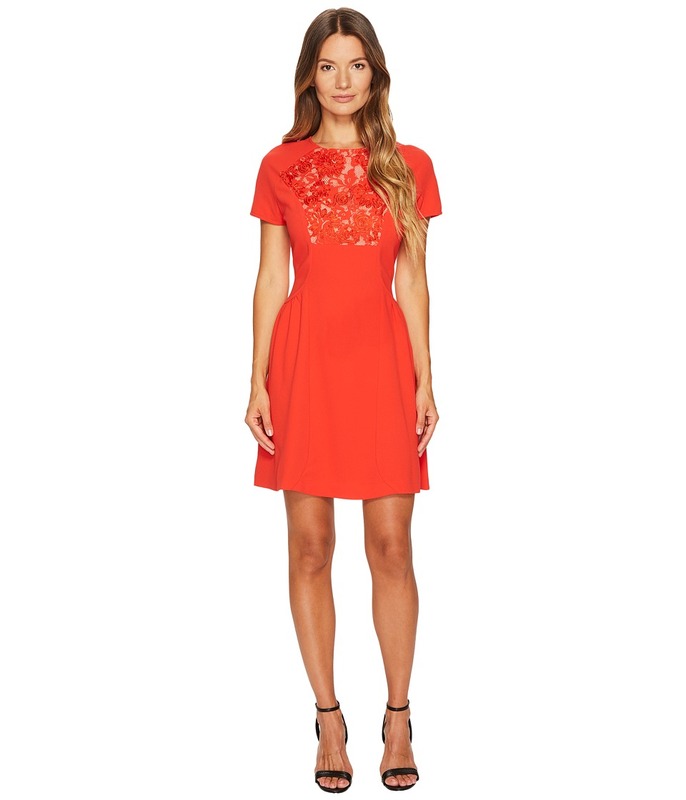 Escape into your own fairy tale of fashion wearing the The Kooples Short Sleeve Dress with Front Lace Yoke. A-line silhouette. Jewel neckline. Short sleeves. Back zip closure. Floral lace panel at neckline. Fitted waist. Straight hemline. Outshell: 100 percent polyester. Yoke: 80 percent cotton, 20 percent polyamide. Lining: 100 percent polyester. Professional dry clean only. Imported. This item may ship with an attached security tag. Merchandise returned without the original security tag attached or a damaged tag may not qualify for a refund. Measurements: Length: 35 in Product measurements were taken using size XS. Please note that measurements may vary by size. Simplistic beauty is yours wearing the The Kooples Short Sleeve Dress with Rear Zip and Frilled Hem. Shift silhouette. Jewel neckline. Short sleeves. Exposed back zip closure. Lace bow detail at neckline. Frill hemline. Outshell: 96 percent polyester, 4 percent elastane. Collar: 100 percent polyester. Yoke: 100 percent polyester. Professional dry clean only. Imported. This item may ship with an attached security tag. Merchandise returned without the original security tag attached or a damaged tag may not qualify for a refund. Measurements: Length: 35 in Product measurements were taken using size SM. Please note that measurements may vary by size. 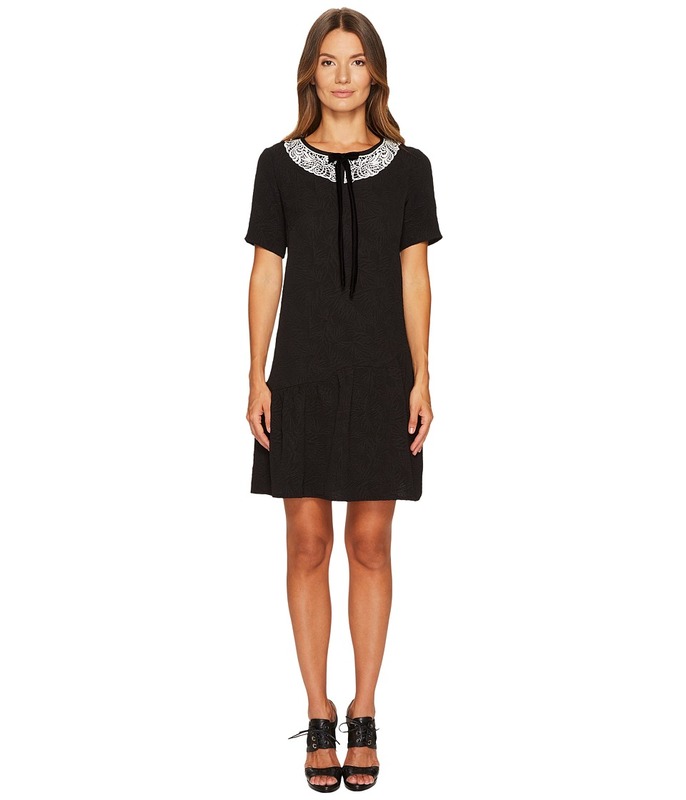 Become a revolutionary fashion icon wearing the The Kooples Flowing Dress. Fit and flare silhouette. Embellished jewel neckline. Long sleeves. Back-zipper closure. Flared skirt. Straight hemline. 60 percent acrylic, 27 percent polyester, 11 percent polyamide, 2 percent elastane. Yoke: 100 percent polyamide. Professional dry clean only. Imported. This item may ship with an attached security tag. Merchandise returned without the original security tag attached or a damaged tag may not qualify for a refund. Measurements: Length: 37 in Product measurements were taken using size 36. Please note that measurements may vary by size. Hitch a ride toward stylish rebellion wearing the The Kooples Biker Wax Trousers. Skinny fit. Stretch waist. Front hand pockets with zip closure. Rear faux besom pockets. Moto detail above knee. Zip cuffs. 95 percent viscose, 5 percent elastane. Lining: 100 percent cotton. Hand wash cold, line dry. This item may ship with an attached security tag. Merchandise returned without the original security tag attached or a damaged tag may not qualify for a refund. Measurements: Waist Measurement: 25 in Outseam: 37 1 2 in Inseam: 28 in Front Rise: 10 in Back Rise: 13 in Leg Opening: 9 in Product measurements were taken using size SM, inseam 28. Please note that measurements may vary by size. Make the day a successful one wearing the The Kooples James Shirt with Stripe Along The Arm. Point collar. Long sleeves with button cuffs. Front button-up closure. Front chest flap pockets with buttons closures. Decorative stripe at shoulders. Straight hemline. 100 percent silk. Yoke: 100 percent polyamide. Professional dry clean only. Imported. This item may ship with an attached security tag. Merchandise returned without the original security tag attached or a damaged tag may not qualify for a refund. Measurements: Length: 30 in Product measurements were taken using size SM. Please note that measurements may vary by size.